As the holidays are swiftly approaching, the supply chain and logistics industry is working in full swing to meet crucial deadlines and deliver on time. Most retailers have been planning and preparing their supply chains for this holiday season since August – or even earlier, as a solid plan is vital when competing to provide customers with the best and quickest results, especially during the most important and hectic time of the year. Although the big players, such as Amazon and Target, have displayed impressive and efficient supply chain operations so far this year, there is only one clear winner of the Christmas supply chain. Santa’s supply chain is the only supply chain in the world that can claim to have an 100% perfect order rating, not to mention an unbeatable on-time delivery track record. I was therefore very fortunate to have gotten the chance to get an exclusive interview with the supply chain leader and man himself- Mr. Claus. Luckily, he was willing to look past some very offensive comments that our current editor made a few years ago, and has decided to set the record straight. Naomi Hunter (NH): Welcome Mr. Claus and thank you for taking the time out to answer our questions today. My first question for you is one that I’m sure you hear fairly often. How do you plan for demand ahead of the holiday season? Do you have any systems in place or are you able to just magically predict the Christmas wishes of every child in the world? 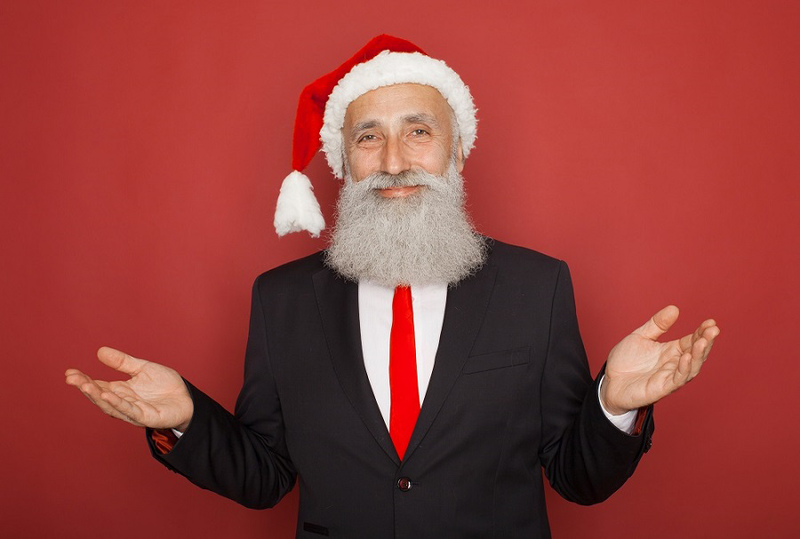 Santa Claus (SC): Back in the good old days, we could predict demand manually using our own expert knowledge, past records, and all the Christmas wishes we received throughout the year, be it through written notes, word of mouth or clever intuition *Mr. Claus winks*. However, this method left a lot of room for human and *Mr. Claus suddenly coughs* elf error, and occasionally we would run out of popular presents – as a result children received less popular alternatives. Many things have changed since then and demand is now even more difficult to predict, as nowadays there are so many toys and gadgets available, and a much larger variety of materials is needed to produce them. NH: So, how has this method changed? SC: Well, like any good supply chain manager, I have utilized the modern innovations available to me to take some of the weight off of my old shoulders and to keep operations running smoothly at the North Pole. We have an abundance of data at the North Pole, so to make the most of that data we use intelligent predictive analytics and a machine learning incorporated hybrid AI system. By combining past data, current trends and our expert knowledge, our system is able to predict several possibilities for demand and establish patterns. Although Christmas wishes change throughout the year, this has so far effectively prevented shortages, delays and large surpluses. This year we have been testing 3D printing to see what all of the fuss is about. There are many benefits to printing on demand and this method could come in handy when we receive last minute or personalized requests. For more efficient demand planning and optimized inventory management, of course we adopted an integrated planning system. NH: Speaking of inventory; you must have a pretty hefty inventory if you are producing gifts for the masses and stocking materials all year. How do you stay on top of it? SC: You’ve got that right. The inventory is distributed between numerous strategically located warehouses..
NH: strategically placed warehouses? But how come nobody has ever seen..
SC: *hurriedly interjects* Invisible. Underground warehouses. Now where was I? Ah yes. Increased automation has enabled us to utilize warehouse space more effectively, and we are currently looking into expanding storage vertically. After all, assuming every present is 50cm long, 30cm wide and 20cm deep, if they were all laid out end-to- end they would stretch around the equator roughly 24 times. With such a vast inventory it would be incredibly difficult to keep track of all the stock without a helping hand from technology- even if the elves do have a good memory. RFID tags allow us to track the exact location of stock at any given time. Although our records are almost always accurate, it’s important that we regularly audit the inventory, and do stock counts because if any presents went missing we would have to deal with some very disappointed children and very angry parents. Since last year, all stock counts are performed by drones equipped with cameras, as they can scan through shelves much quicker than the elves. This method is also much safer than the one used previously, as the elves no longer have to scan items in high-up or hard to reach areas. 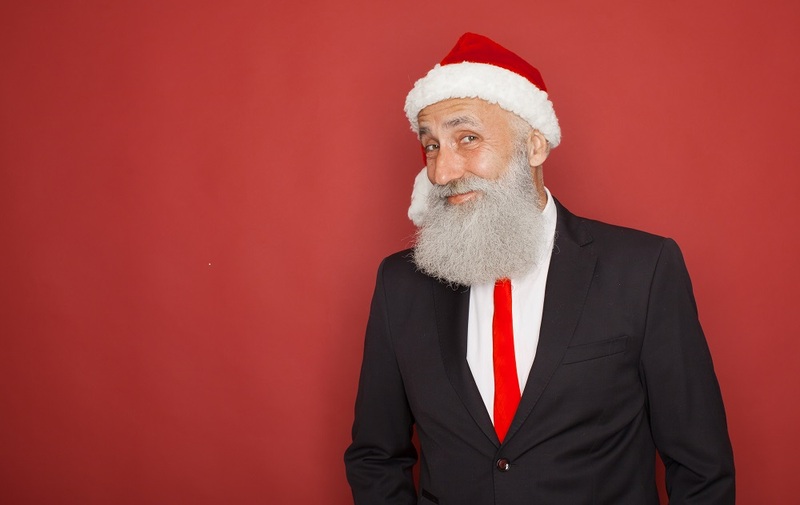 NH: Everybody knows you are a logistics phenomenon, so I must ask: How are you able to deliver all of the presents globally without fail and all in just one night? SC: Well it’s a mixture of magic, antlaerodynamics and thorough planning. A common misconception is that all of the presents are loaded onto the sleigh at once in one location. As fantastical as that sounds, it would be somewhat impractical as it would be a very heavy load; the weight would slow down the sleigh and the presents would have a higher chance of getting damaged. I therefore have a few central hubs dotted across the globe in which presents are transported to prior the big night by only the most trusted third-party logistics providers. NH: I assume said hubs are invisible and underground. Splitting the load is also more time efficient for those picking the orders and loading the sleigh. To find the quickest route, while taking into consideration weather conditions, air traffic, number of stops per load and time zones etc., I use an optimized route planner which can provide the best route in a matter of seconds. IoT sensors and real-time weather monitoring help to ensure smooth, uninterrupted delivery operations. This includes the use of weight sensors to check the balance of the sleigh, and health sensors to monitor the health and endurance of the reindeer fleet. Real-time monitoring enables me and my logistics team to respond to changes and proactively manage logistics risks. Performance monitors send data back to the elves which help us to improve R&D, while enabling preventative maintenance, to ensure there is as little sleigh downtime as possible. NH: Unfortunately that’s all we have got time for today. Thanks again for joining us. 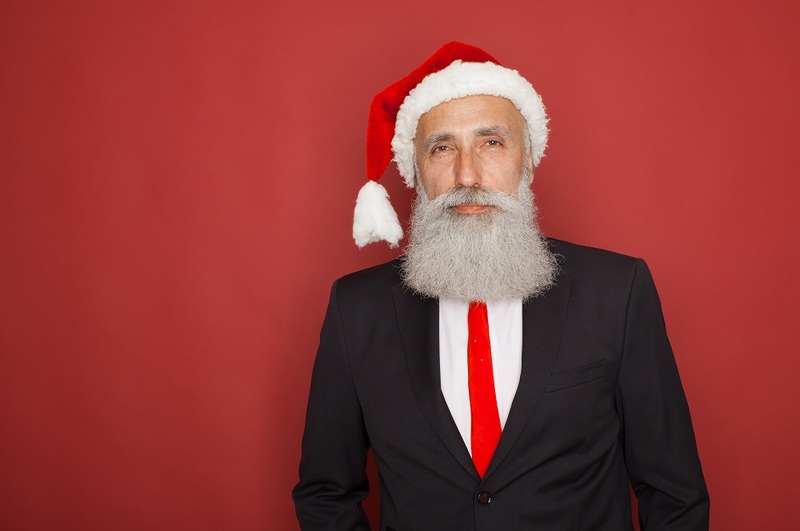 I’m sure you have to get back to the North Pole soon, but before we finish are there any tips that you would give to supply chain managers this holiday season? SC: It’s been a pleasure. The key to a successful holiday peak season is being able to understand your consumer demand and to ensure flexibility across your distribution operations. 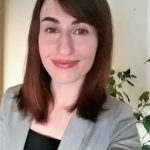 My advice would be to utilize cognitive technologies to leverage your internal and external data for greater forecasting capabilities. Regardless of how well you plan, changes and disruptions are inevitable. Real-time visibility across all supply chain operations enables quicker and flexible decision-making.